ENYA INSPIRATION: Imogen Brough is building a solid fan base on the back of local performances. 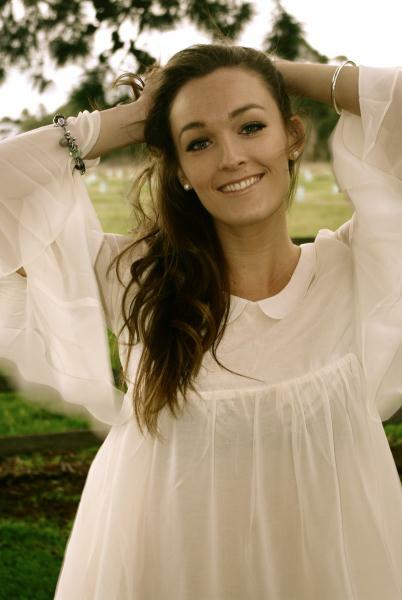 Geelong singer-songwriter Imogen Brough thinks she has Enya’s ethereal music “built in” because her parents played it so much when she was young. It’s little wonder then that Brough would build a singing career on emulating the Celtic singer’s style – with a signature twist, of course. “I’d love to mix Enya’s ethereal sound with modern-day pop music,” Brough told the Independent. Brough will headline Celtics in Concert at Ocean Grove Hotel this Friday night alongside an array of local Celtic music performers. Brough said she was yet to perform with any of the other acts but was “glad” organiser and musician Jill Meehan asked her to be involved. Brough spent the summer “singing and holidaying” after earning gigs at Torquay’s Café Moby and Lorne’s Pacific Hotel. She was “pulling people in” from the sea during her regular Monday performances at Pacific Hotel. “Swimmers and kayakers would say they could hear me sing from the water so they came to enjoy the show,” Brough said. Brough believed performing regularly at local venues helped her gain a good “grounding” to build a fan base. Her fans were to thank for securing songs Heart and Prettiest Thing in top 20 positions in the pop genre last year, she said. Brough admitted she found the “drive” to record EP Counting Waves after supporting Lisa Mitchell at a Bended Elbow gig last June. “I just thought ‘Wow, this is the big time’ and I knew I needed something professional to show people. Brough hoped to record a new EP or possibly an album this year despite her “hectic” honours studies for Contemporary Music. “I’ve been writing some new music, so hopefully,” she said cheerfully.